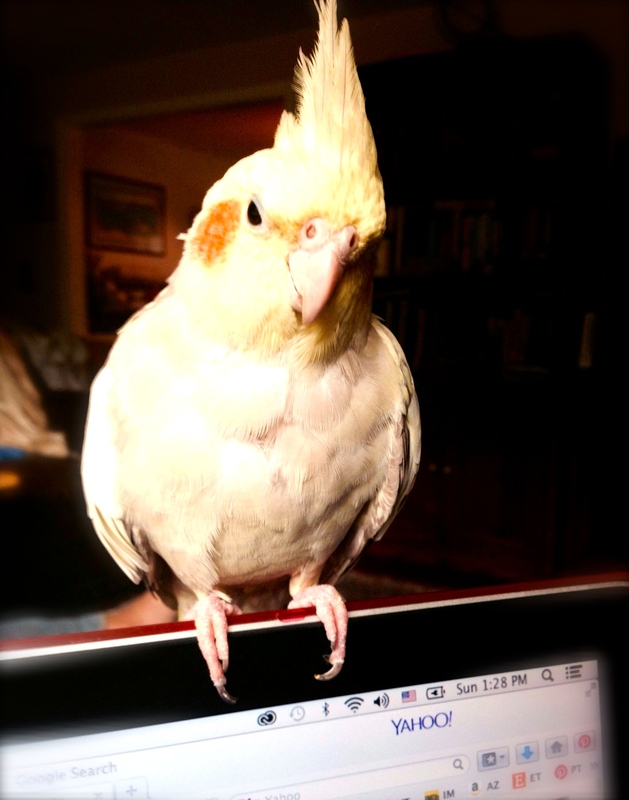 Guest Post: Meet Arya Cockatiel! Hi everybirdy! My name is Arya and I’m a cockatiel. I live with my mate, Thorin Morkenshield, and our very unique flock of birds. Most of us have been adopted from the MSPCA at Nevins Farm in Methuen, MA. I met my human there when I was only two months old. Before that, I don’t remember much, I was too little. I know now, that life is good. I have my mate, who I love, lots of birds to play with, and all the toys, food and love a bird could want. I’d like to tell you stories about the fun we have in the bird world here at our house. Visit My Flock to meet my feathered family! I also have a famous “sister,” Felicia the Cockatiel, who is a Facebook sensation. She got out of our house, because our humans got confused one day. They are really upset, and we all miss her. I thought I’d tell you all about how the search for Felicia has been progressing, because I know it’s been a learning experience for all of us birds! We know Felicia will be home soon, and we can’t wait to see her, and to hear all about her amazing adventure! Stay tuned for lots of cute pictures of us birds, stories about me and my flock, as well as posts about the search for Felicia. We are learning so much about searching for lost birds, we really want to share this information with other bird owners, in order to help other families who find themselves in a similar, scary situation. I like to sit on the top of the MacBook and dictate to my mom. I also try to type sometimes, but then I get distracted by the keys, they are so much fun to pull off of the laptop! This is a more personal blog, but My human will also be sharing some of the relevant posts to the SOAR Birds blog. SOAR Birds is a community designed to help people find or place pet birds, share stories and provide coaching, advice and support to bird owners in New England and beyond. Bird advocates unite to help each other and collaborate to help birds and bird owners in need. 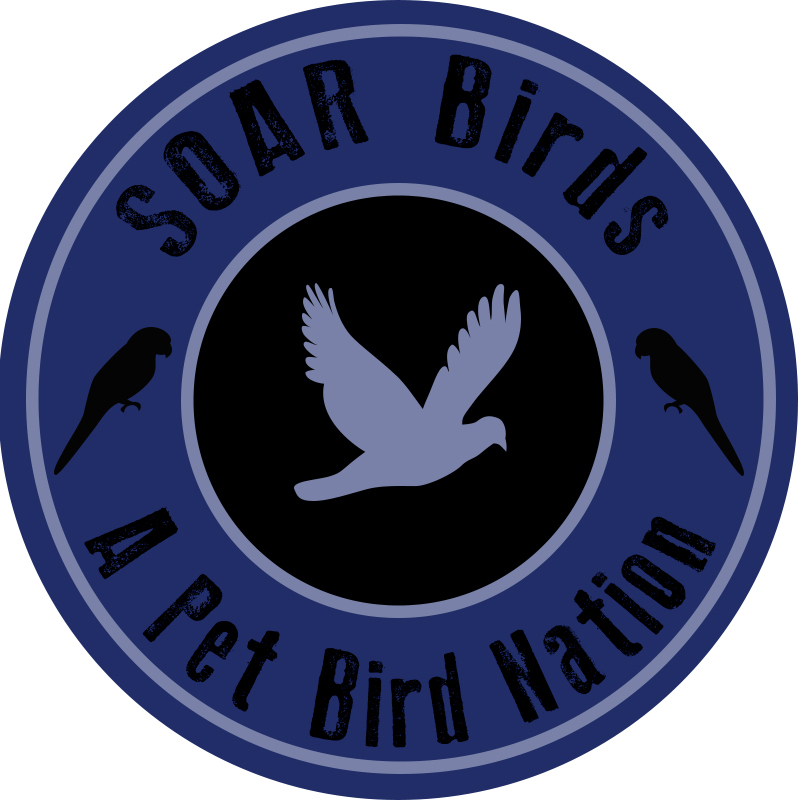 For anyone who has, or would like to, adopt/rescue a bird, or even if you just love birds… SOAR Birds is a ‘Pet Bird Nation.’ Don’t forget to visit the SOAR Birds blog and subscribe for email updates. You can also join SOAR Birds on their awesome Facebook Page. Below are links to two posts I’ve written about my sister Felicia and my family’s efforts to bring her back home. We hope the information we’ve learned will help others searching for lost birds or other pets. Thanks for reading, I’ll be updating soon! Click on the links below to read my posts about my “sister,” Felicia!